If you’ve been a clayer for a while (descriptive term, “clayer,” courtesy Louis Katz), you have likely heard of the Cone Box Show. 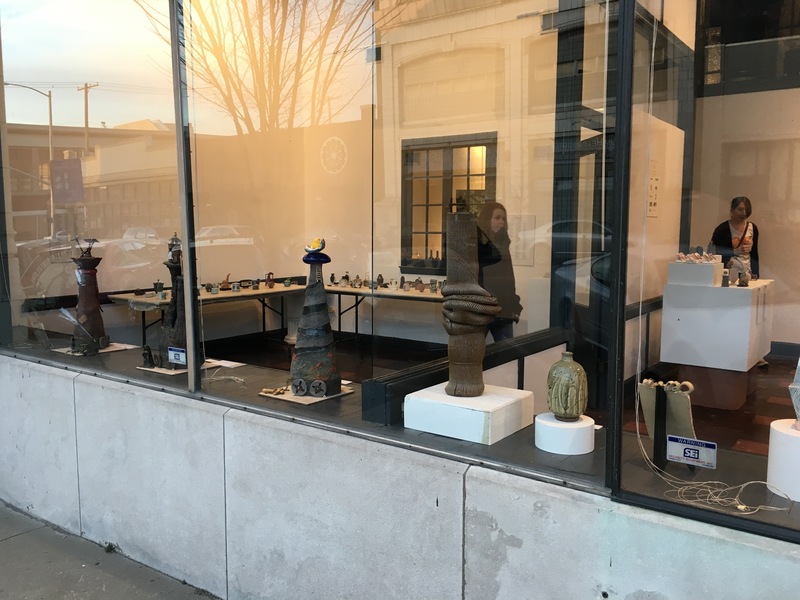 An juried exhibition of miniature pots, which would be adjudicated from the actual pieces while still keeping shipping and handling costs down for artist entries. The question of size limitation was easily answered given that in the 70s, when the show originated, the Orton Standard Cone Box, a 3″ x 3″ x 6″ box was ubiquitous in every potter’s studio. Three National Cone Box Shows were mounted biennially in the seventies, until the show’s creator took a hiatus. It was revived in 1994 and since then has become the (still biennial) International Cone Box Show. You can learn more about the history of this exhibition on the ConeBoxShow website. As you approach the gallery, you are greeted by work in the window that is definitely not miniature. This is the work of past jurors from the Cone Box show, including Yoshi Ikeda, Nina Hole, Brad Schwieger, Bede Clarke, Steven Hill, Anna Callouri Holcombe, Phil Rogers, Harris Deller, Inge Balch and several other incredible artists. 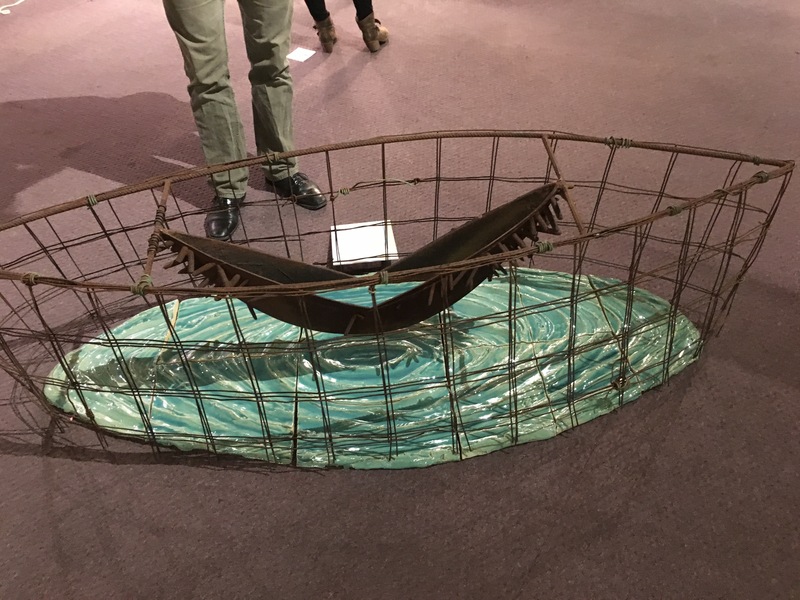 This year’s exhibition was juried by Inge Balch, Greg Daly and Garth Clark and is a stunning showcase of some of the best work in contemporary ceramics. 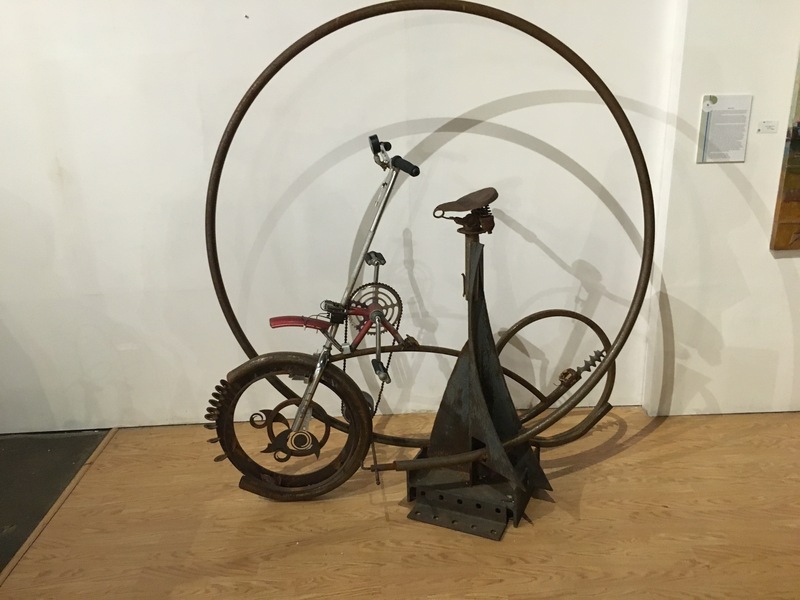 And almost as if it was an encore there’s some other cool sculptural art in the loft upstairs and the lounge-area alongside the gallery like this cool bike sculpture that I loved and the interesting sinking ship…..